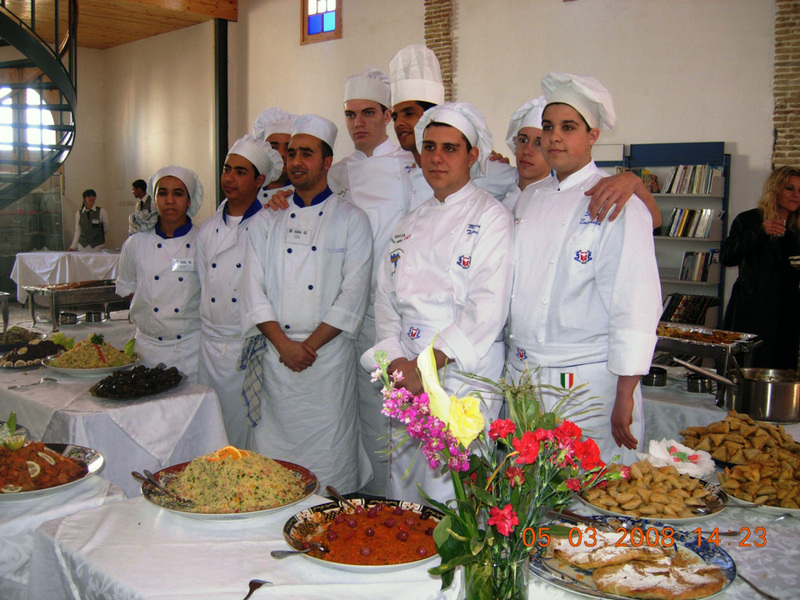 We provide vocational training in several sectors: tourism and hospitality (in partnership with the State Secretariat in charge of vocational training), having reached the number of 1,200 graduates from the Larache Specialized Center, computer science (with the CISCO Academy), in service trade, social assistance, health care aid, as well as in the audiovisual sector (Center of Rabat, Safi, Oujda and Casablanca). Today, an international center for vocational training (Tourism occupations) is ready to Open its doors in Safi. (In partnership with the Marrakech / Safi region, OCP Group, OCP Foundation, the Nord Pas de Calais Region, ADS, and the Ministry of Employment). The center is multidisciplinary. We also provide training, accompaniment and support of associations, capacity-building in partnership with the OCP Foundation, Khouribga Region and the Center of Youssoufia Skills. We operate with diagnosis and evaluation of needs in disadvantaged and at-risk areas. We operate in the field of tourism and solidarity economy, with the training and accompaniment of cooperatives in the regions of Al Hoceima, Larache and Khouribga. We furthermore provide accompaniment and formation in marketing, hygiene, packaging, etc.